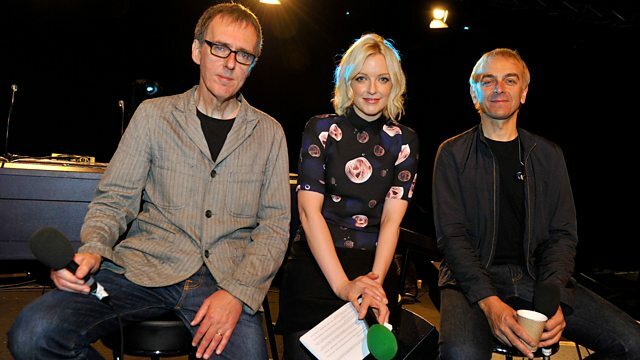 Underworld play live as Lauren brings you day three of 6 Music Live at Maida Vale. Underworld play live as Lauren brings you day three of 6Music Live at Maida Vale. Celebrating the 20th anniversary of the release of their seminal album dubnobasswithmyheadman, Underworld will be performing tracks from this, one of the most influential electronic albums of all time. The performance will also be live-streamed at bbc.co.uk/6music, plus there will be daily highlights via BBC Red Button during the evening and the following week. Last October, 6 Music Live at Maida Vale featured Sir Paul McCartney, Polica, Sigur Ros, Goldfrapp and Manic Street Preachers and reached over 1.2 million viewers via the BBC Red Button. Marvin Gaye & Tammi Terrell: Greatest Hits.